Power Blender Sports Bottle Blender Instantly blend smoothies and protein shakes and go! Blend and drink from the same bottle. Crushes ice instantly. Just blend and go! Convenient flip top straw, super powerful blender crushes ice instantly, fits in car cup holders and easy to clean. A quick breakfast solution for families on the go! Add fruit to create a healthy fun snack! Blend a different drink for each of your friends! The perfect size for a light meal or treat at work. Add a scoop of your favorite protein and head for the gym. At home or on the road, just blend and go! Power Blender is the perfect solution if you don't have time to eat, but need a healthy, energizing smoothie to take with you on the go. The Halogen Oven from JML will revolutionise the way that you cook. It uses a halogen light source which produces infra-red waves to heat up food quickly whilst maintaining all the natural flavour of food cooked in a traditional oven. There's none of the sogginess you sometimes get with a microwave - just delicious, mouth watering food. 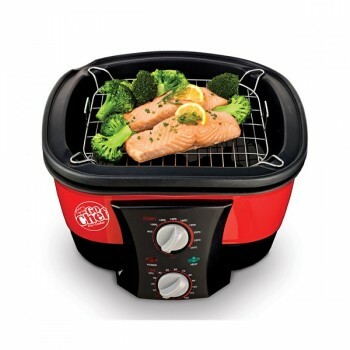 The Halogen Oven is easy to operate, with a built-in timer and variable temperature control. With it's amazing self-cleaning function, looking after your Halogen Oven will be easy. 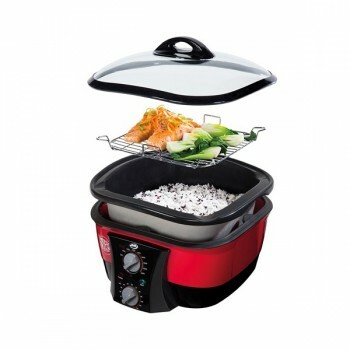 Convenient and energy efficient, you'll wonder how you ever managed without your Halogen Oven. Cook everything, from a full Sunday roast to a breakfast fry-up in this one versatile cooker. Tasty risottos, pasta, chips, jacket potatoes and so much more. Just set the temperature and the timer and that’s it! The 5-litre bowl lets you cook for the whole family, and because it’s non-stick, clean-up is quick and simple. You also get a recipe guide with more than 30 recipes for you to try.